The following press release is from the National ACS, Washington, DC. 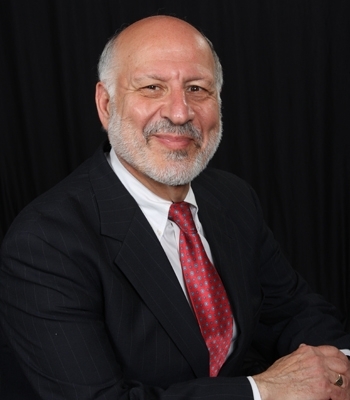 Chemist and science educator, Dr. Al Hazari, a professor at the University of Tennessee in Knoxville, was honored by the world's largest scientific organization for his work in helping children of all ages understand and appreciate the wonders of science. He received the 2000 Helen M. Free Award for Public Outreach from the American Chemical Society (ACS) at its 220th national meeting in Washington, D.C., August 20-24. Hazari's passion for chemistry is reflected in his personalized license plate, which reads "ALKMST." In keeping with his commitment to his field, he has dedicated much of his professional life to generating excitement in science among students and teachers. "I have always enjoyed teaching and sharing something of myself and my knowledge with others, especially students. Kids are our future, and it should be part of the job of all scientists to work with students to help them learn about the field," he said. For much of the last decade, Hazari's quest to enhance science appreciation has included a regular schedule of public outreach activities, ranging from classroom visits and teacher training workshops to special programs for teenage girls, Scouts, underprivileged children and senior citizens. He lives by a simple motto that is also the basis of his educational philosophy: "Science is for students ages 2 to 102." "What we're really after are science-literate citizens," said Hazari. "Everyone should know about, and be comfortable with science. Our goal is to inspire students to become inquisitive about science instead of fearing or dreading it." Hazari helped his local (East Tennessee) section secure a project science literacy grant from ACS in 1992, which was used to develop and implement a K-12 science and engineering outreach program in conjunction with the University of Tennessee. Scientists, engineers and university faculty and students visit area classrooms and conduct hands-on activities. The program has been so successful that it has attracted major corporate, state and professional sponsorship. Hazari lives in Knoxville, with his wife and three children. A native of Lebanon, he earned a B.S. in chemistry from the American University in Cairo, Egypt and holds a M.S. in analytical chemistry from Youngstown State University, Ohio. He received his doctorate in science education from the University of Tennessee in 1997. The Helen M. Free Award for Public Outreach, which consists of a crystal award and a $1,000 prize, is given each year to an ACS member who makes a major effort to communicate to the public how the chemical sciences improve the quality of daily life.